Oct 10, 2016 Your visit was to an Independent Store location that simply carries our brand of product. - The retail stores that carry our products are all privately owned and independently operated so the first course of action is always to contact the ownership team of the location when issues or concerns may arise. Our intention is to ensure that all customers who purchase the Forever Flawless brand of products have a wonderful experience regardless of where the purchase occurs. Customer satisfaction is our number one priority so should you have any questions at all our customer service team may be reached at (470) 545-3577, Monday - Friday 9:30 am - 5:30 PM EST. My friends' mother-in-law got bilked out of $7,000 from Forever Flawless at the Westfield Mall in Escondido, CA. She has dementia, and a so-called friend took her out shopping and wasn't keeping an eye out for her. Her son found out and immediately went back to the store; but was told by the owner only the $6,000 that was charged on her ONLY credit card would be refunded; but the $1,000 cash would not be returned!!!! 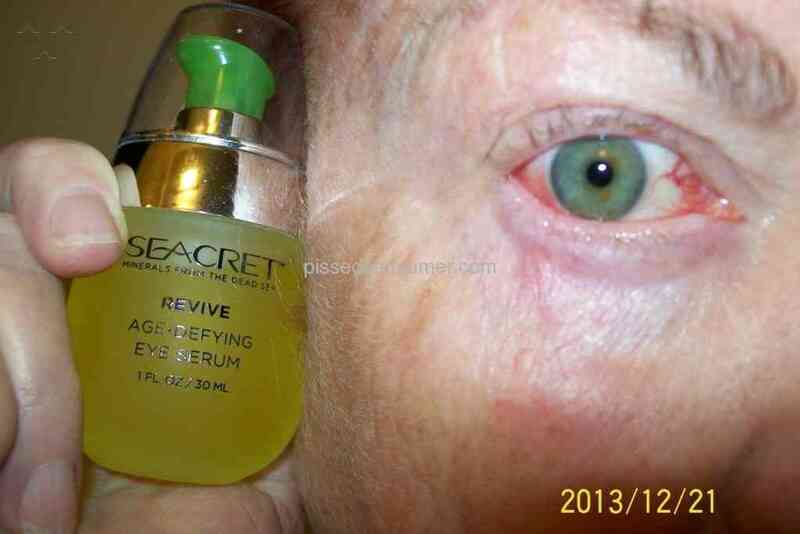 A few years back, the same thing happened to me; but it was at a Seacret Dead Sea kiosk that scammed me. High pressure, not stop BS; but I was blown away by the attention and flattery from the young Israeli boy! I wound up purchasing $300 (thank God not $7,000); but when I got home only part of my purchase was in my bag. I went back to ask them what happened, and they told me all that I had purchased was in the bag they gave me! I wanted a refund; but of course, he refused, so I asked for a manager, and he told me HE was the manager! I even went to the mall's office to report all this; but they never followed thru with my complaint. Unfortunately, these high-pressured young illegals are somehow brought to this country on some kind of visa, and taught by 'professional' scammers how to bilk us out of our money and savings! I urge everyone to consider checking out the English version of the BBB, wesite: londonbds.org, and you can even see thru videos the tactics these young thieves use to coerce you to buy, buy, buy their inferior products. 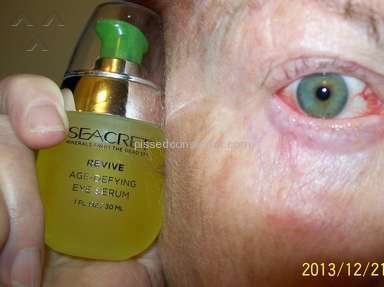 I actually wound up getting a swelling under my eyes from the product they used on me. Apparently, I was allergic to whatever was in it. I turned them in to our BBB; but nothing ever came of it!!! SO PLEASE, PLEASE, DO NOT BUY ANY OF THESE OVERLY PRICED, INFERIOR PRODUCTS. DO YOUR HOMEWORK FIRST AND CHECK OUT THE INFORMATION I GAVE YOU. GOD BLESS AND KEEP YOU! Preferred solution: HOW DO WE STOP THESE SCAMMERS LEGALLY. I DON'T EVEN KNOW IF THEY ARE HERE IN THE USA LEGALLY! NO ONE SEEMS TO WANT TO HELP STOP THESE SCAMMERS AND THIEVES!. Review #706061 is a subjective opinion of User706061.